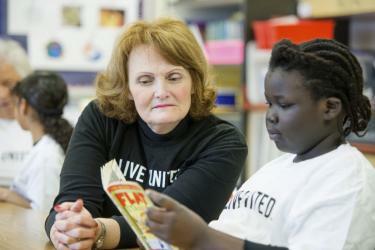 United Way of Northern Utah : What We Do : Helping Kids Succeed in School : Read. Graduate. Succeed. Children who fall behind in reading by third grade are three times more likely to drop out of high school. Schools in northern Utah are struggling to find the capacity to tutor these at-risk children and bring them up to grade reading level. Read. Graduate. Succeed. (RGS) is the most-recognized one-on-one tutoring program in Utah, helping over 80 percent of its participants increase by three or more reading levels by the end of 30 weeks. In the 2017-18 school year, we recruited 1,195 volunteers to help 1,013 struggling readers get the help they needed to read at grade level so they will be able to successfully finish school. 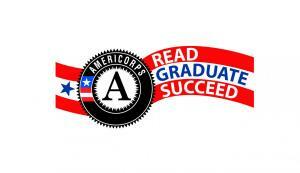 We also helped fund over 22 RGS programs in the Box Elder, Morgan, Ogden, and Weber school districts. With the support of one-on-one tutoring, over 80 percent of the participating students improved by three or more reading levels.